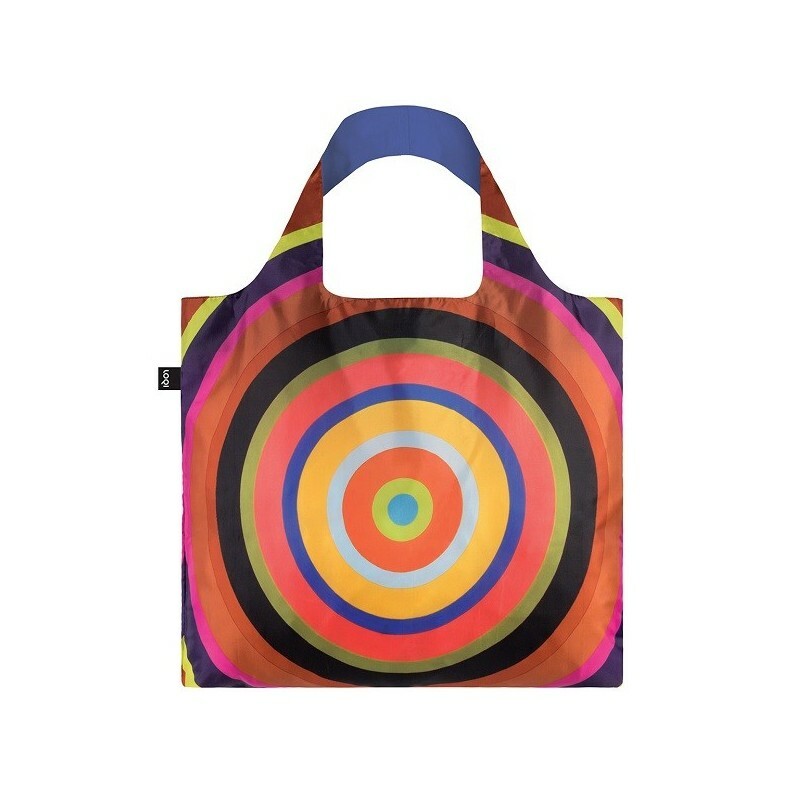 Reusable Loqi shopping bag features a vibrant, circular geometric design by Danish artist Poul Gernes. Strong, durable, water-resistant, food safe, lightweight, washable and stylish. Holds up to 20kg and weighs just 55g. Buying this product = 17 Reward points for Members. Your cart will total 17 points = voucher of $0.85. Not a Member? Join at checkout to claim these points. 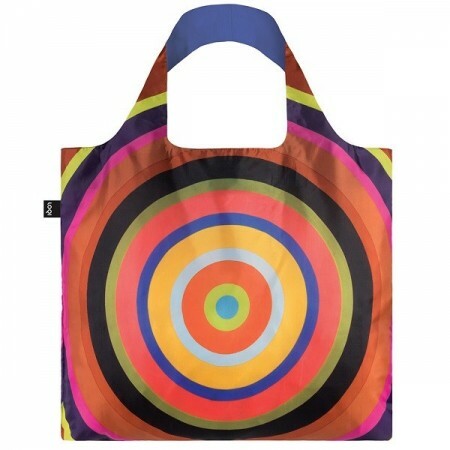 Help to save the environment from plastic bags by taking your reusable LOQI bag with you wherever you go. The LOQI factory is accredited by Intertek, a third party that verifies compliance with labour laws, employee health, safety, and environmental initiatives. 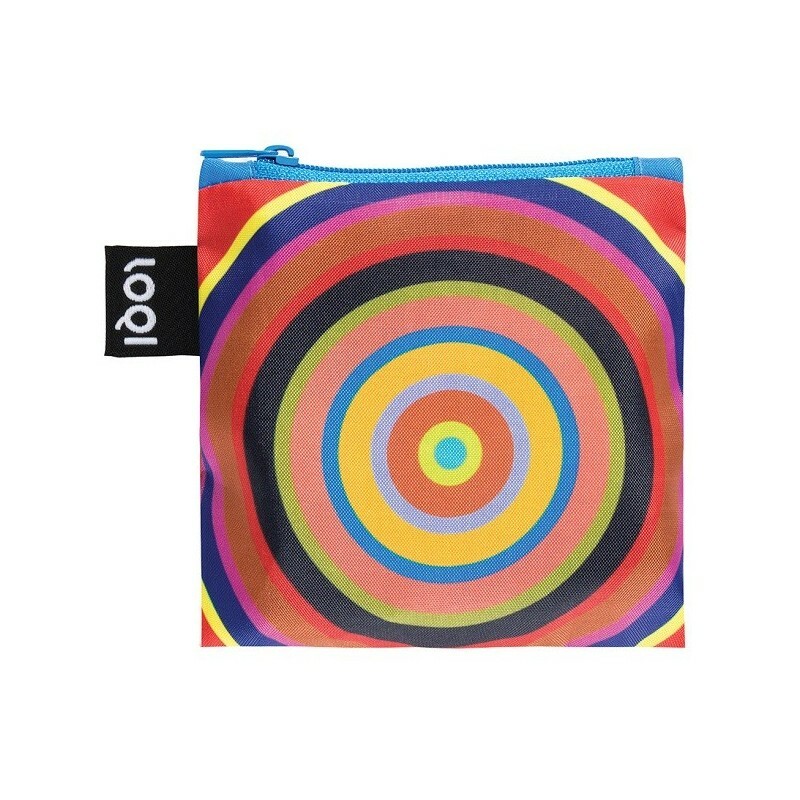 LOQI bags are OEKO-TEX certified for production of a sustainable product without the use of harmful substances. Carries up to 20kg and weighs only 55g. 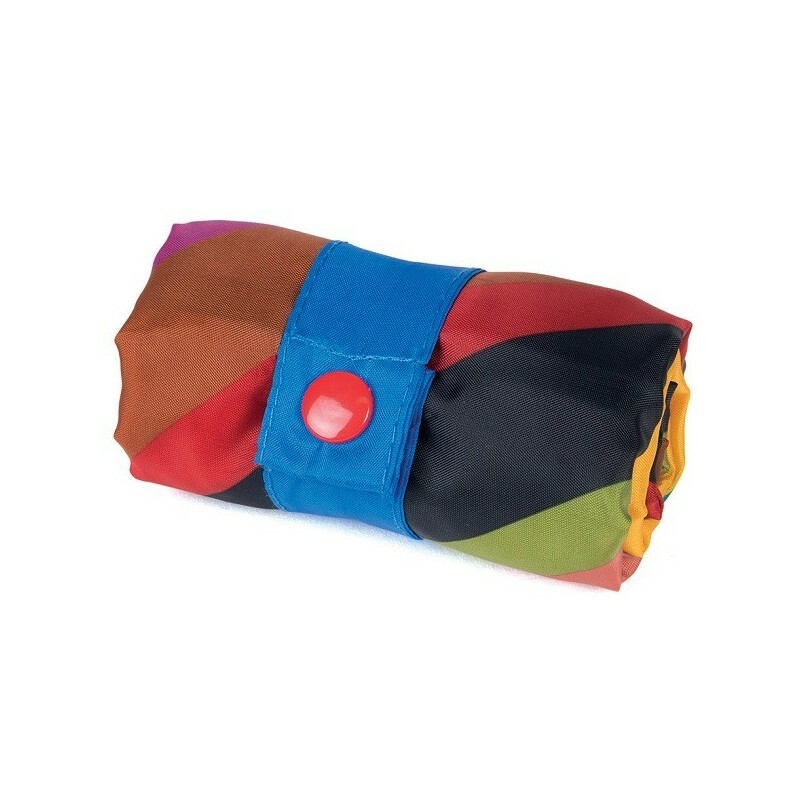 Stores easily - fold or stuff into matching pouch, or roll and secure with button closure. No harmful substances, OEKO-TEX certified. 50cm L x 42cm H (69cm including handles). Inside pocket: 16.5cm x 14cm. 11.5cm x 11.5cm pouch when folded.